Today we present our exclusive interview with Dr Derar Bal’awi, Regional Director for the MENA Region at International Group for Educational Consultancy (IGEC) based in Saudi Arabia. We discuss the popular KASP scholarship programme, as well as the KASPTT, which focuses on the vocational sector. In addition, Dr Bal’awi shares his insights on the Arab Spring’s impact on student mobility, as well as the importance of online learning in the Middle East and North Africa. Watch our video and continue reading below. Saudi Arabia’s King Abdullah Scholarship Program (KASP) will run through 2020, sources have confirmed. The Saudi government invests a hefty 9 billion SAR (approximately 1.782 billion EUR) in the programme each year, and this provides full funding for nearly 130,400 students – for bachelors, masters and doctorate programmes abroad. At present, the undergraduate fields of study are limited to medicine, medical science and health sciences; however, more options exist for graduate studies. In addition to the MOHE supervised scholarships, the Technical and Vocational Training Corporation (TVTC) administers KASPTT. This programme targets graduates from colleges of technology and higher technical institutions. Dr Bal’awi also discusses the Arab Spring’s impact on student mobility, leading many young people to study and work abroad in more stable countries. 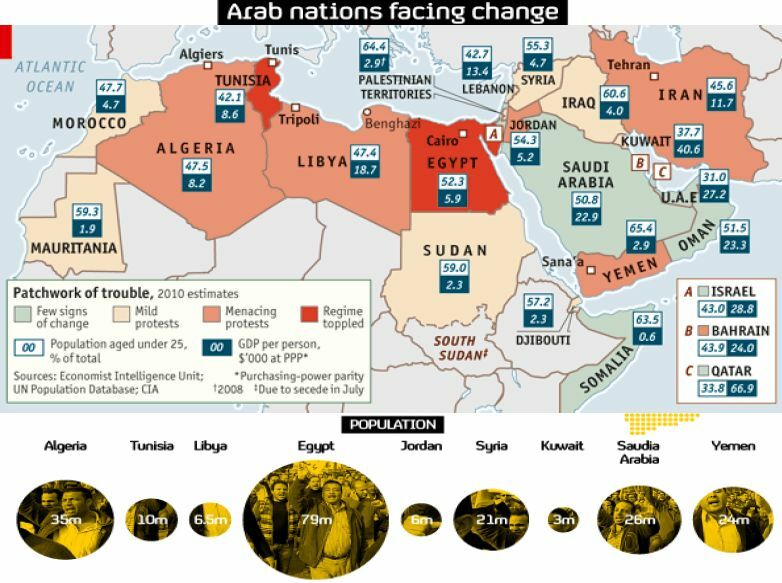 The map below illustrates the power behind recent pro-democracy movements in the Middle East and North Africa. This entry was posted in Agents, Bahrain, Egypt, Higher Education, Jordan, Middle East, Most Popular, Online Learning, Regions, Saudi Arabia, Syria, Video Interviews, Vocational and tagged scholarships for foreign students, postgraduate student recruitment, Ministry of Education, tertiary education overseas, education hub.